Since 2010 Lohusa Sepeti has been a favoured helping-hand for the fashion-forward woman during and after pregnancy: quickly establishing itself as one of the biggest maternity eCommerce websites in Turkey. 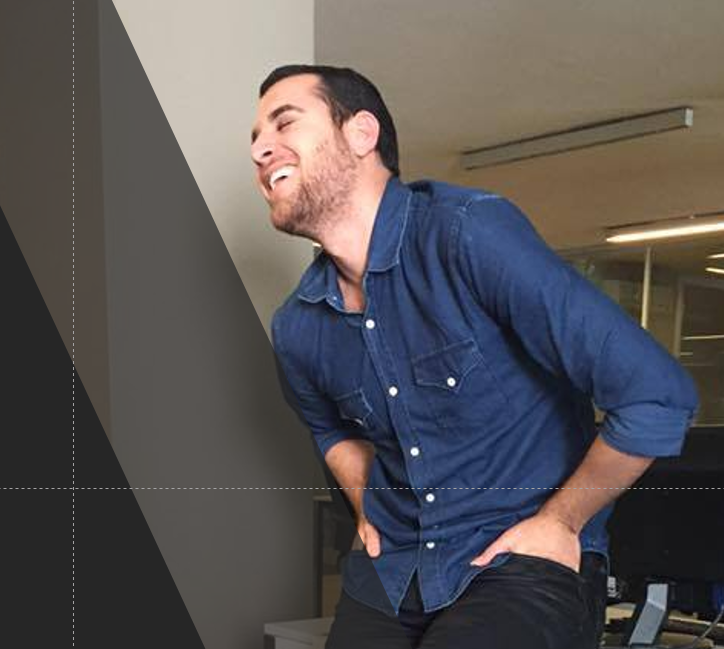 Yusuf Özbay, an experienced Digital Marketer and current SEO Manager at PortalGrup, is no stranger to strategic SEO. His particular area of interest is enhancing site architecture and increasing traffic. Due to a poor site structure Lohusasepeti.com was not responsive, or compatible with mobile platforms. The out-dated front and backend of the original site hadn’t been indexed or crawled by search engines, nor had it changed since it went live in 2010. Technical SEO errors were holding back the website from attracting new organic visitors. Malformed URLs and Canonicalization problems led to pages not being optimized or able to filter successfully. The complex digital infrastructure, including tagging and category-formation, had some serious implications: including customers being unable to complete purchasing. Yusuf explains how not only did this cripple sales, it also didn’t offer a good user experience. We used Deepcrawl to dive deep into Lohusasepeti.com to really understand what we were dealing with, ahead of our site redesign. DeepCrawl uncovered that the canonicals that were set up in the past to avoid duplication issues were wrongly implemented and as a result prevented any of their sites ranking all together. As our old pages were not redirecting to the corresponding pages, we were missing crucial opportunities for follow-through traffic. DeepCrawl pointed out which specific pages were missing tags, making it easier for our development team to see where to prioritise their efforts and save time. I was particularly fond of DeepCrawl’s ‘Issue function’ which allowed me to monitor the progress of my team’s achievements. Further, the 301 redirects reports that DeepCrawl gave us were especially useful, enabling the successful implementation of redirects for our new and improved site. As we had previously struggled to rectify these with our CMS system alone. DeepCrawl played a key role in defining and extracting issues. Using the issues feature, I was able to assign developers specific tasks. I set these tasks with priority levels, deadlines, and tracked their progress in real-time. Insodoing the sites transformation, for example overcoming our performance issues with Minimal Content/HTML Ratio, Max HTML Size, & 301 Redirects. In terms of understanding, solving issues and tracking what changes had been made, when and by whom – we found DeepCrawl to be the best tool. Like 301 redirects, the indexation report was also a game changer. 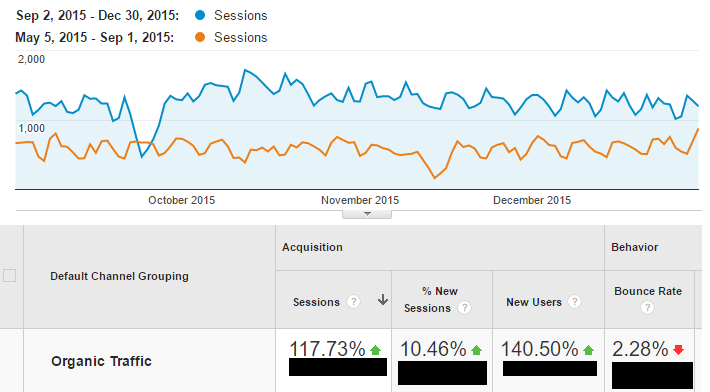 We saw that our site was not being indexed, nor had it ever been crawled by search engines! At the end of the redirection process, we observed that clicks and impressions had increased on Google Search Console. In addition you can see that our first web crawl depth showed no unique pages were found within a few clicks of the homepage when we first crawled our site using DeepCrawl. 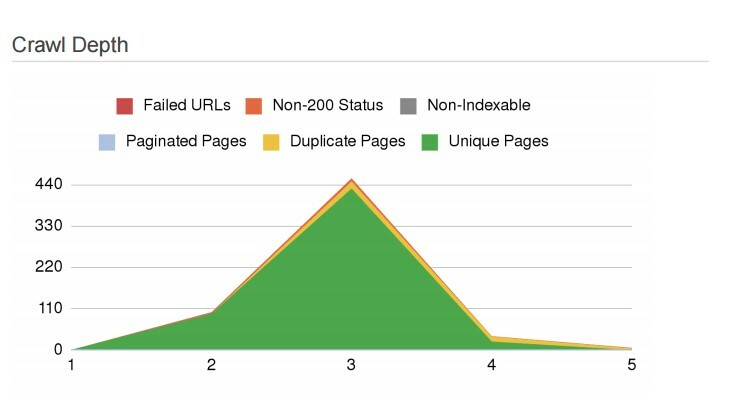 After we optimised our site based on the actionable data we took from DeepCrawl, you can see that most of our unique content became accessible within a few clicks of the homepage – great for our customers and our crawl budget! Being able to get a complete insight of the websites current condition, proved invaluable for Lohusa Sepeti. Yusuf Özbay and his team focused on the website redesign to increase Lohusa Sepeti’s visibility by 117% within the search engines. As Yusuf notes, “ I love DeepCrawl as it provides me with actionable data making it easy for me to implement the recommended changes”.